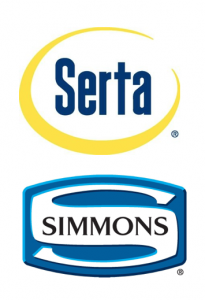 In the latest turn of events, Furniture Today announced that Serta and Simmons are moving to 5-year/10-year warranties in 2015. This comes after an announcement last month that they were going to a three-tiered program that included a 15-year, 10-year and one-10 year warranty. So what happened? I have to credit Dave Perry for some of this – he’s been a DOG ON A BONE. (I think I have lived in Southwest Missouri too long.) At the Furniture Today Bedding Conference over the last few years, Dave has made it a point to get some of the top companies on a panel for the conference and then grill them with questions about the industry and, of course, Dave’s favorite topic of warranties. This year was no different. A very healthy and lively debate ensued and Serta/Simmons were paying attention. My assumption would be that after leaving there, some tough conversations were had with key retailers and Serta/Simmons decided that following Tempur Sealy’s lead with a 5/10-year warranty was the best thing for everybody. I happen to agree. Setting aside who did it first, and what ultimately inspired Serta/Simmons to change, I am saying it was a very good move in the right direction. I would also like to point out that it feels a little like we are back to where we were a few years ago, before all the warranty extensions, so we have some more work to do. I realize almost everybody has some piece of consumer research to justify where they are, so I applaud that companies are doing their homework. I would add that research is a dangerous thing if you don’t ask the right questions and pay attention to the right things. Consider this logic, which is based on my own experience in many different focus groups with consumers: If you tell a consumer their bed is going to be under warranty for 10 years, don’t you think they understand that to mean it should last them 10 years? Now put on your industry hat and we know that is not what we are saying, but that doesn’t matter in the least. This is all about what the consumer expects. If Apple came out with a 5-year warranty, would we expect their product to work well for 5 years? I think that we would, so how is that thinking much different than what we have been doing? I can hear the marketing groups at the different companies screaming research results at me through their computer screens right now, and they are probably justified since I am going very far to oversimplify this. But sometimes we need to boil it down to common sense, don’t you think? In the end, I feel like we should do what’s right for the consumer and we’re all going to win. Check out episode 2 of our podcast to hear about this in more detail! What do you think? What is the ideal term on a mattress warranty?